BUILD WITH GAS Natural gas is the smart choice for comfort, convenience and energy savings. DTE Energy can help you find ways to build, remodel and upgrade with natural gas. We can show you how natural gas appliances add comfort and efficiency to an entire home. Just go to dteenergy.com/energyhome, and add natural gas to your plans today. Publisherâ&#x20AC;&#x2122;s Notice: No part of this publication may be copied, reproduced, or transmitted in any other form or by any other means, electronic or mechanical, to any information storage or retrieval system without the expressed written consent of the Home Builders Association of Northern Michigan. Any use other than for what it was intended, or reproduction of materials in the publication, must be with written consent of the HBANM. While every effort has been made to avoid mistakes in this publication, the publishers, HBANM, and their agents assume no liability whatsoever to anyone for any error or omission or for any damages of any kind which may arise from the publication or use of this directory. Please contact the HBANM office at 231-348-9770, so that we can make the necessary changes to our database. M I SS I O N STAT E M E N T The Home Builders Association of Northern Michigan (HBANM) provides the most relevant industry related education & networking opportunities to help grow sustainable member businesses. HBANM believes in promoting and celebrating the Northern Michigan craftsman legacy and is dedicated to providing access to industry related talent and growing this talent for future generations! W H O W E A R E A N D W H AT W E D O The association includes builders, remodelers, tradesmen, suppliers and affiliated businesses in Charlevoix, Cheboygan, Otsego, and Emmet Counties. In addition to providing membership support, the primary goals of the association’s administration is to promote professional development, offer regulatory and legislative support, and act as administrative liaison between the local members and their state and national level industry groups, the Home Builders Association of Michigan, and the National Association of Home Builders. S E RV I C E A R E A Our service area includes the counties of: Charlevoix, Cheboygan, Otsego, and Emmet Counties. The Professional Women in Building (PWB) council of the HBANM supports the professional development of women in the home building industry through educational programs, training and leadership skills development in the overall building industry. PWB also assists in projects and events for the NAHB, NAHBPWB and our local HBA of Northern Michigan. ABOUT THE PWB COUNCIL The Professional Women in Building (PWB) is a small but very active group of volunteers that promote women in the building industry through educational programs, volunteer activities, scholarships and local, state and national advocacy. Both men and women are encouraged to join our group. Our PWB council continues to grow with new faces and young professionals. PWB hosts several annual events including the very popular Wine and Chocolate Tasting event which takes place in the fall. Our group is involved in helping with the Home Show and with other HBANM events. We also support our community and complete several volunteer activities during the year. An annual $1,000 scholarship is given to a student going into the building trades industry. To find out more, please call one of our officers or contact the office at (231) 348-9770.
interests and needs of members. Since 1982, the organization has been dedicated to raising professionalism in the remodeling industry through an extensive program of education and information touching on all phases of the remodeling business. BUILDING AND REMODELING, RESIDENTIAL Adelaine Construction, Inc.
Clayton S Eby Building Serbvices, Inc.
BUILDING AND REMODELING, RESIDENTIAL CONTINUED Corble Builders Inc.
Floyd & Todd Wright Builders, Inc. When you build with Preston Feather, you’re backed by the pros for professional builders. We partner with the most talented architects and contractors of our region to build the homes that define Northern Michigan style. the Builders, and Contractors of Northern M Mon - Fri 7am - 5pm, Sat 7am - 12pmRemodelers, 7201 E.Serving M-72 Williamsburg, MI 49690 Serving the Builders, Remodelers, and Contractors of Northern Michigan! From custom design, to material choices, or finding the best price or product application for your project. We can assist you from start to finish. Visit our 5951 Charlevoix Avenue location to see our large variety of full slabs of many of our beautiful materials including: Granite, Marble, Quartzite, Soapstone and Quartz products. Check out displays of sink options, edge details and possible finishes. Expert advice is always in season. Spring fix up or summer flip... let us help with your remodel! You canâ&#x20AC;&#x2122;t predict the future. BUT WE CAN INSURE IT. Top Notch Heating, Cooling & Geothermal, Inc. WASTE DISPOSAL American Waste, Inc.
HBANM CODE OF ETHICS All members of the HBA of Northern Michigan are required to abide by these guidelines and bylaws as established by the Michigan Association of Home Builders (MAHB) and the National Association of Home Builders (NAHB. ) The Code of Ethics for the HBANM is as follows: 1. Our paramount responsibility is to our customers, our community, and our country. 2. Honesty is our guiding business policy. 3. High standards of health, safety, and sanitation shall be built into every home. 4. Members shall deal fairly with their respective employees, subcontractors, and suppliers. 5. As members of a progressive industry, we encourage research to develop new materials, new building techniques, new building equipment, and improved methods of home financing to the end that every home purchaser may receive the greatest value possible for every dollar spent. 6. All sound legislative proposals affecting our industry and the people we serve shall have our informed and vigorous support. 7. We hold inviolate, the free enterprise system and the American way of life. 8. We pledge our support to our associates, our local, state and national association, and all related industries concerned with the preservation of legitimate rights and freedoms. 9. We assume these responsibilities freely and are solemnly mindful that they are part of our obligation as members of the Home Builders Association of Northern Michigan, Inc.
Clayton S Eby Bldg Svcs, Inc. 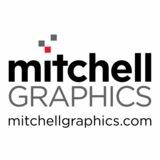 Complete Paint & Supplies, Inc.
Emmet Brick & Block Co.
Thomas and Milliken Millwork, Inc. In 1979, an Association of Home Builders’ Auxiliary was formed as a women’s service group that took on projects to support the Association. The Auxiliary was also associated with state and national organizations, members attended conventions and paid annual dues. While the Auxiliary dissolved by 1989, women continue to participate and support the organization as full members and by being involved in the Professional Women in Building (PWB) organization. In 1976, the association held the first Home Show to connect the public with members who were showcasing the newest and most innovative products and services. From the beginning, the Home Show was a big success helping the organization grow. While the show has been held at the Petoskey High School and Nubs Nob, it is now especially at home at North Central Michigan College, Petoskey. One of the Association’s most noted accomplishments is the $50,000 contribution the organization made to North Central Michigan College when they launched a campus expansion fund-raising drive in 1984. In 2000, the Home Builders Association started a partnership program with the building trades programs at four school districts: Boyne City Public Schools, Charlevoix Public Schools, Pellston Public Schools, and the Public Schools of Petoskey. For many years, a two-car garage had been auctioned by silent bid at the Northern Michigan Home Show. The building trades’ students, with the supervision of their instructors and HBANM volunteers, have built the garage (frame, roof, enclose, secure, and electrify) for the winning bidder. In 2002, the Association established the Building Industry Career Scholarship Fund to benefits an area student who is pursuing or continuing his/her education in the building trades industry. There is no age limit for eligibility for this scholarship and students can be already enrolled when they apply. In recent years, Otsego and then Cheboygan counties were added to the service area of the association. 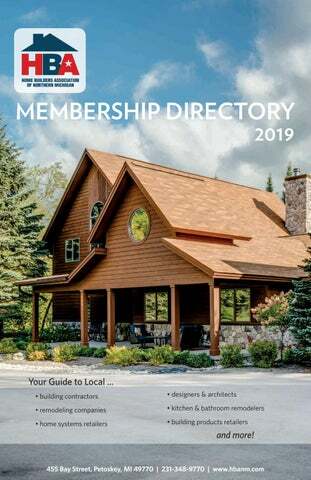 In 2014, the Board of Directors decided that the “Little Traverse” geographic reference in the name no longer represented the complete demographics of the association so the name was changed to Home Builders Association of Northern Michigan (HBANM). Since then, the HBANM has evolved into a resource and support system in Emmet, Charlevoix, Cheboygan, and Otsego Counties for both its members and community residents. Our mission is to help members keep up-to-date on changes in the building industry, from new products and techniques, to land use and development issues, while always giving back to our communities through service. Any business involved in some way with the building industry is invited to join the HBANM. For information on how you can be a part of the future of our industry, please contact us at (231) 348-9770 or email the office at info@hbanm.com. Membership applications are available on our website.